Congrats to the week 4 winners Teams 3! Congrats to John, Rob (Carlos filling in), and Brian WLC Team 3! 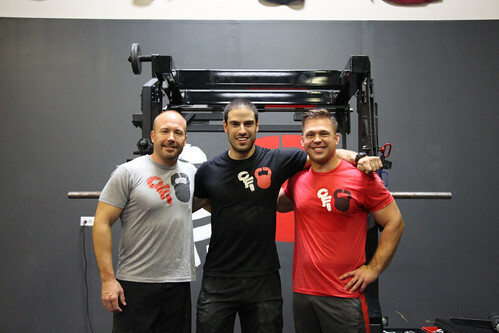 It’s Coach Carlos from CrossFit Impact and I’m writing you today to check in with you on week four of our eight week 2014 Whole Life Challenge Event! I wanted to begin by telling you how proud I am of the participants and all of their incredible efforts! The Whole Life Challenge is not an easy event; it’s designed to push you to achieve your fitness goals and objectives and that’s precisely what I’ve been seeing among all of the participants. In fact, we have a total of approximately 30 CrossFit Impact members who are taking part in this year’s Whole Life Challenge! Throughout the course of the past four weeks, I’ve seen tremendous changes in so many of our Whole Life Challenge participants, both physical changes and changes in their approach to fitness and life in general. It’s truly inspiring to see you guys working hard and going the extra mile to achieve your goals. This week marks the half way point in our eight-week challenge, which can be a great motivator. It’s psychologically beneficial to know that you’re half way down the road to achieving your objectives. The WLC Mid-Challenge Brunch will serve as a wonderful opportunity to get together with other CrossFit Impact 2014 Whole Life Challenge participants to eat some deliciously healthy fare, socialize, exchange tips, and to just have a bit of fun! 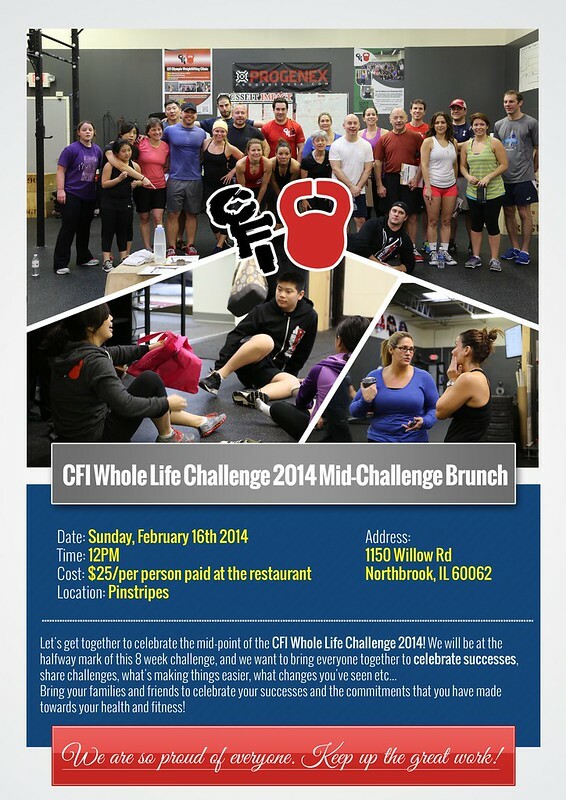 We’ll be holding the WLC Mid-Challenge Brunch at Pin Stripes, located at 1150 Willow Road in Northbrook, Illinois. We’ll be hosting this brunch event from 12:00 noon to 1:30 p.m. on February 16, 2014. If you’d like to learn more, stop by our website for all the details and specifics! Also, don’t forget to stop by our site for lots of helpful tips, updates, news and lots more! I’ve just posted my latest article on the traits of an emotionally strong individual. So find out if you fit the bill and check it out! The CrossFit Impact team has also added a Workout of the Day feature, where you can find some great ideas for an intensive daily workout that will serve to bring you one step closer to achieving your fitness and wellness goals. Mixing it up with a new daily workout is a great way to add variety to your fitness regime. As always, I’m always happy to answer any questions or address any concerns you may have. So don’t hesitate to stop me on your next visit to the gym! Keep up the good work, CrossFitters and keep your eye on the prize as you make it past the half way mark in the 2014 Whole Life Challenge! Reminder: The Whole Life Challenge finals will take place on Saturday, March 8, from 9:00 a.m. to 11:00 a.m.